Health and fitness retreat shares how proper nutrition can improve emotional wellness. Don’t accidentally sabotage your efforts in mindfulness with foods that undermine stress reduction. By shifting your diet in the direction of the foods above, you can use your body to calm your mind. A recent study of women conducted by Ohio State University concluded that there is a noteworthy link between stress and weight gain when stressed out individuals consume high-fat meals. In response, San Diego health and fitness retreat VeraVia has released a list of foods that can promote overall health while actively lowering stress levels. 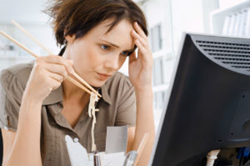 Here are VeraVia’s suggestions for dietary choices that can lower stress levels. Depression can be caused by low levels of folic acid and a healthy dose of asparagus can replenish one’s folic acid balance. Mittry suggests sautéing asparagus as a side dish for dinner, mixing it with rice for lunch, or mixing it into a scramble or breakfast omelet. Mittry understands that sometimes stress needs a physical release. “Don’t underestimate the power of diffusing some natural angst while crunching down on something satisfyingly hard, like carrots,” she explains. “The healing benefits of tea are long known but many people don’t think of using these ancient herbs to reduce their modern-day stress levels,” says Mittry. She recommends Passionflower, Siberian Ginseng, and Hawthorne teas, which have all been shown to reduce stress levels.